No secret, David Tennant is my favorite Doctor. Despite my sadness at losing Eccleston after a single season, I was won over by the end of Tennant's first episode, even though he was unconscious during most of it. His style was easy to relate to, with skinny pinstripe suits and Converse trainers and that wonderful trenchcoat. He was charming and funny and just enough danger to make him riveting. I didn't want him to go. I love it. 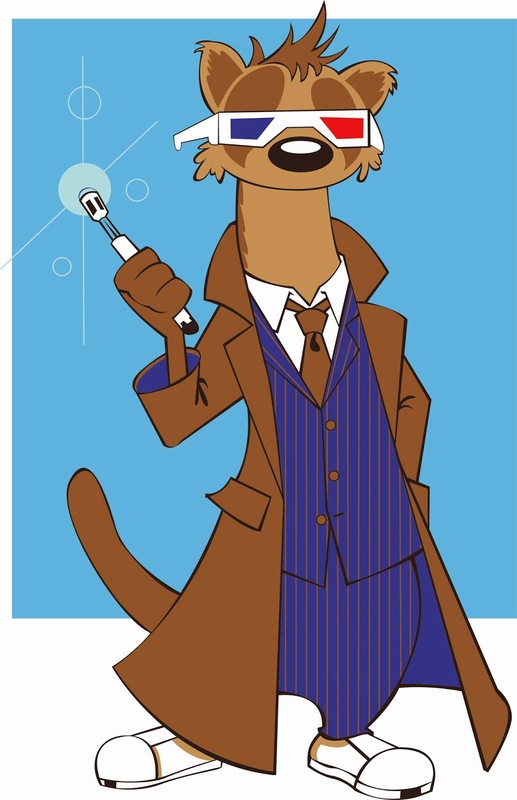 I have two ferrets named Doctor and Donna.